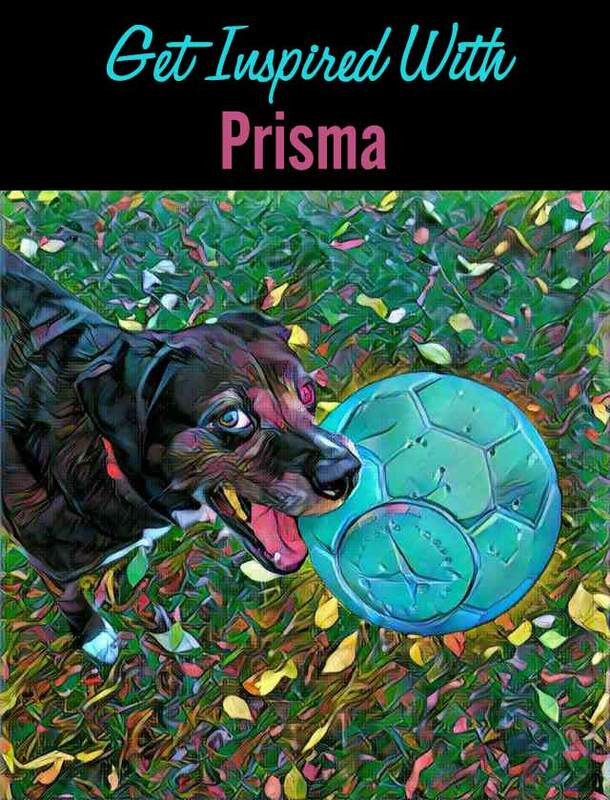 Get Inspired and Create Your Prisma Dog! 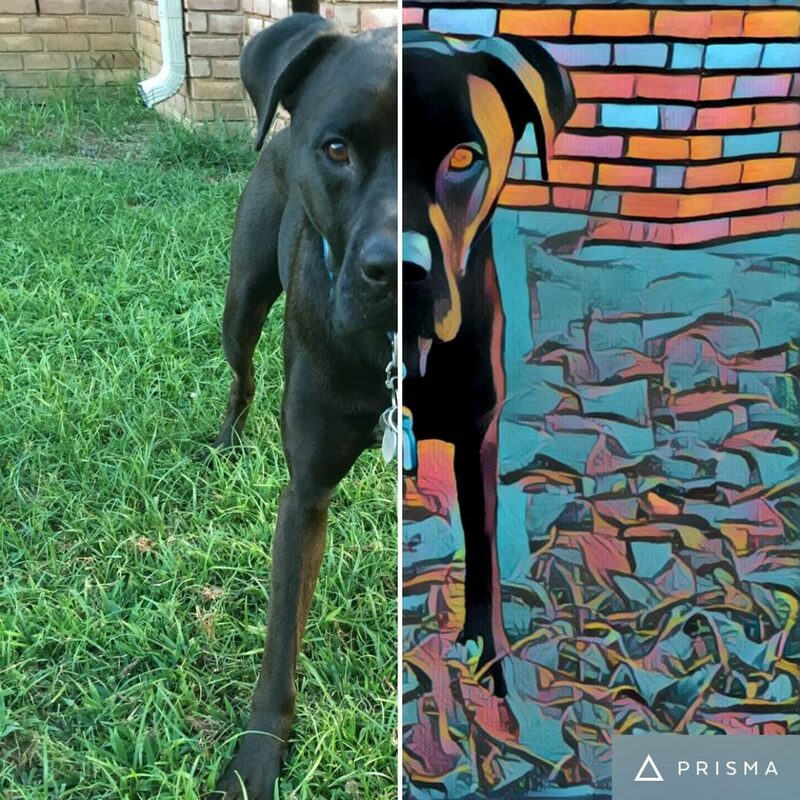 Have you tried Prisma yet? 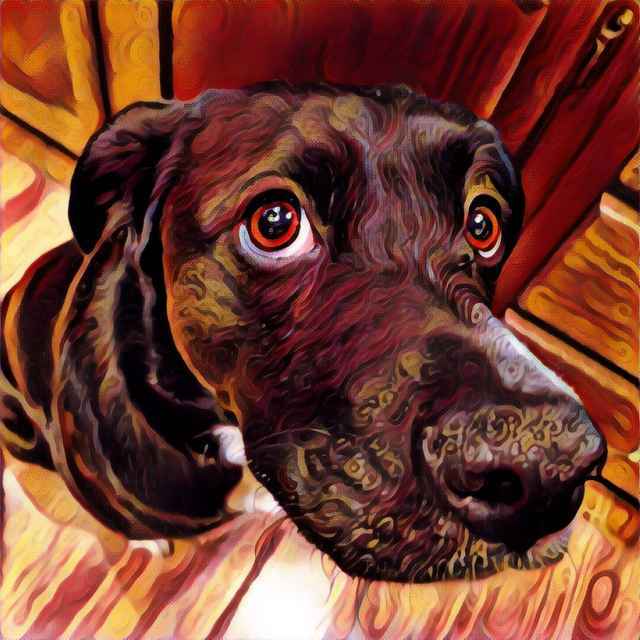 My daughter-in-law, Colleen, showed me the app a few weeks ago and I’ve fallen in love with all of the amazingly creative effects this free app can generate from the pictures on my phone. I have to warn you though, it’s addictive! I’m just starting to experiment with using real paint and brushes on canvas, but Haley’s been creating nose art on our windows for nearly ten years. 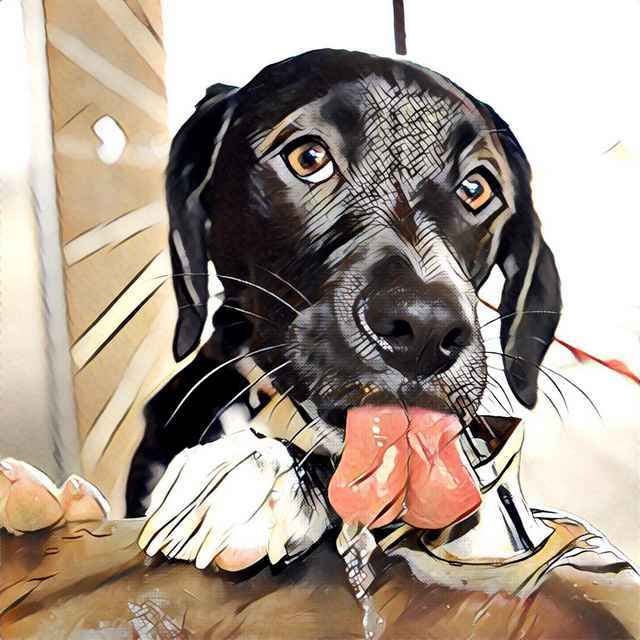 Together, we’ve come up with our five favorite effects you’ll find in Prisma. Click the tabs above each image to view each effect’s before and after images. Who’s this, you ask? Meet Murphy! 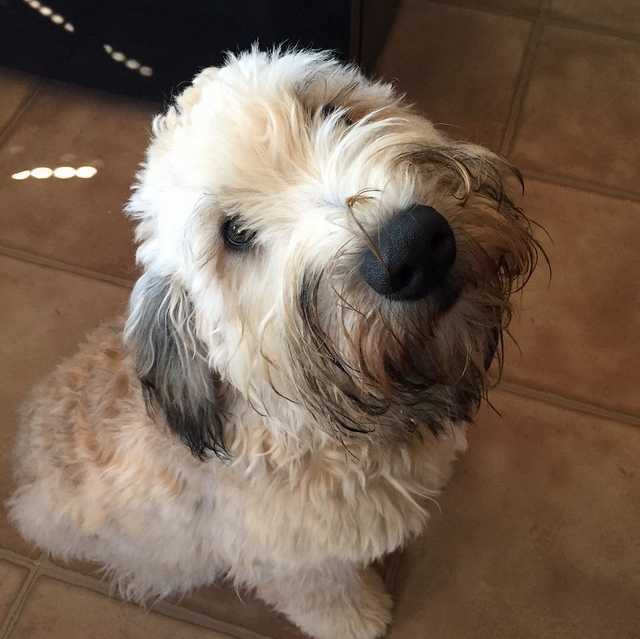 He’s my sister’s soft-coated wheaten terrier and the newest member of our family’s canine crew.? This is one of my favorite blogger pups, Buzz from K9s Over Coffee. Thanks Barbara for sharing this creative split image. I love it! ? Ok, now it’s your turn! 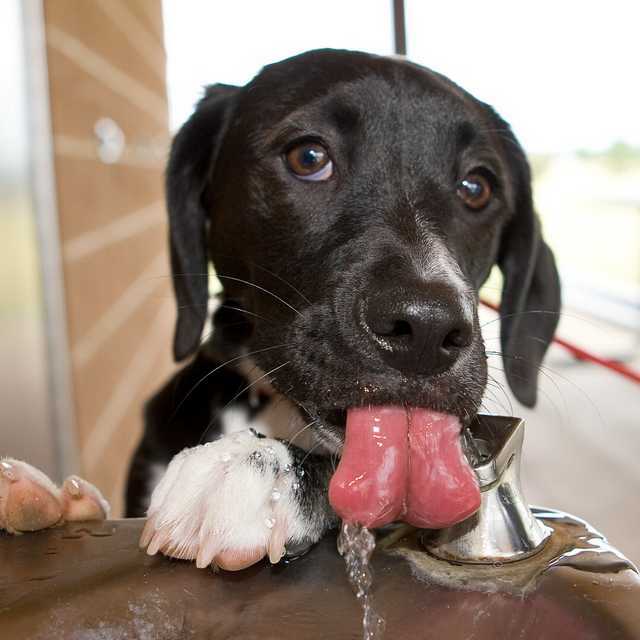 It’s fun and it’s free, so get the right side of your brain working on your Picasso pup or pet. 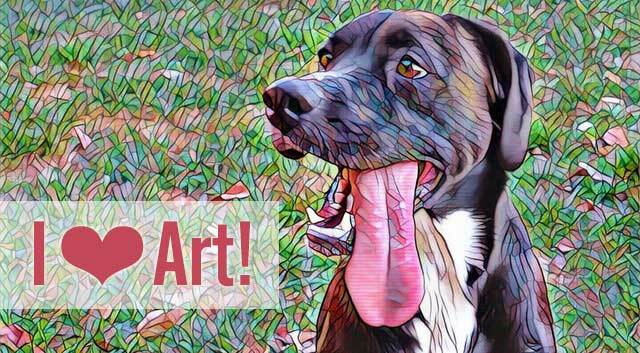 Download the app, create your favorite Prisma dog art, then upload your image in the comment section below. Tell us which effect you used and we’ll display your masterpiece here on the page. This is so cool, definitely downloading! Do you know if there is a way to print them too? That was my first thought too, Jodi! Yes, you can print them. The images Prisma generates are 1080×1080 pixels which would create a print about 15×15 inches square. Also, there’s an option in the app to turn off the Prisma watermark which shows up in the bottom right corner. Have fun with the app! ? These are too cool! 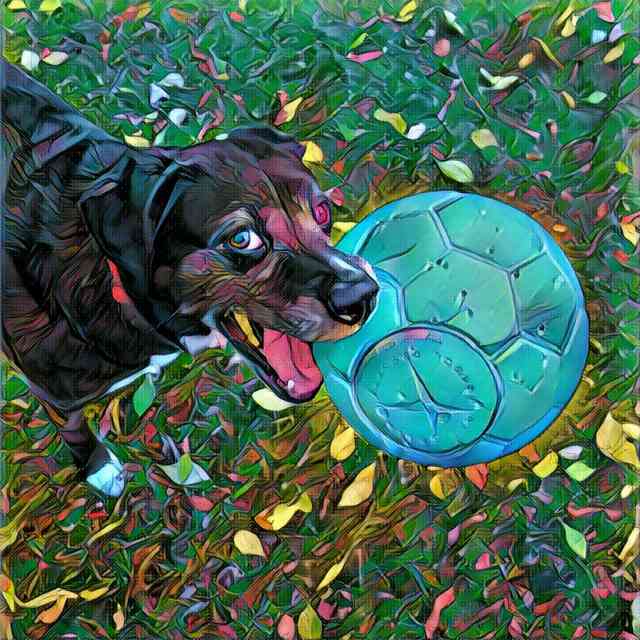 I’ve been seeing lots of photos from this app around and been meaning to try out. Guess I’ll have to wait a few more days since my phone broke yesterday. Oh no, that’s such a hassle when your phone breaks! When the iPhone 5’s came out, the day after I got mine, it slipped out of my hand and straight into my mug of steaming hot tea. Even though it fully submerged and wouldn’t power on, I dried it out for several days in a container of rice and it revived itself. Good luck with the phone and who knows, maybe it’s time for an upgrade! O wow, that’s really awesome!! Thank you for showing it to us! Downloading it NOW :D! Have a great day! Enjoy the app, Valerie. It’s so much fun! ? This is really cool and I can see how it would be addictive. I think I like Tokyo effect the best. That’s probably my favorite one too, along with Mosaic. It’s so interesting to see how the different effects work with different source photos. With the right original image, some of my least favorite effects can create some amazing results. We don’t do much with photo art. Murphy is super cute. I have a Wheaton friend in my nose work class, Finn. He’s a real nice pup! Thanks, Emma! They are really adorable with their unique coats and personality. Murphy’s coming up on his first birthday soon! ? If I started with that I would never get anything accomplished. All the photos look A-mazing! That can definitely happen, Cathy. ? But if you find some free time, Harley and Jaxson would create some really groovy portraits with these effects. Love the app. And I love your blogging approach more! I never know what the photos look like before the apps spit them out again. It’s really fun to see a virtual demonstration. Thanks, Jean! It’s amazing how the app works. Almost all of the filters look good with any photo. Sure is fun! That is an awesome app. It livens the pictures up. 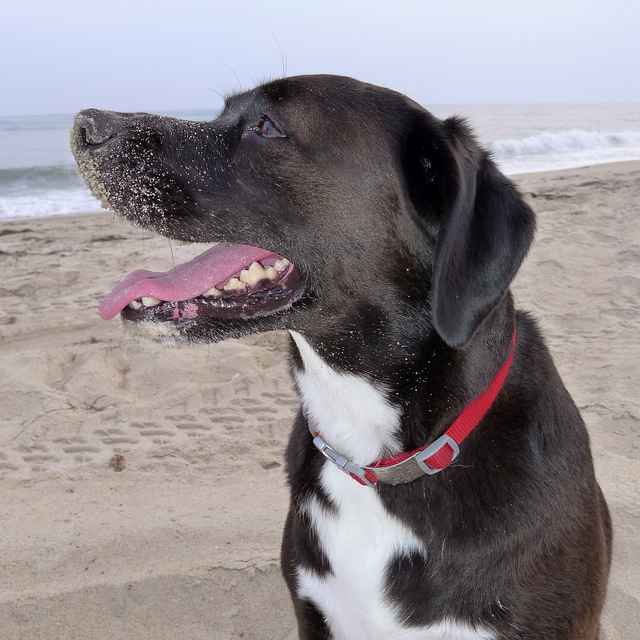 All those amazing pics of Shadow out on the water would look great! I do have that app, but I haven’t played with it enough yet – probably because I know I’ll be addicted. And then I’ll want to spend a bunch of money printing them all out and getting them framed to hang. Seriously, those are all so cute and totally suitable for hanging! Love the new member of the family!! So cute! Welcome! I printed the first image out on our laser printer and it looks really good. Ready for framing. 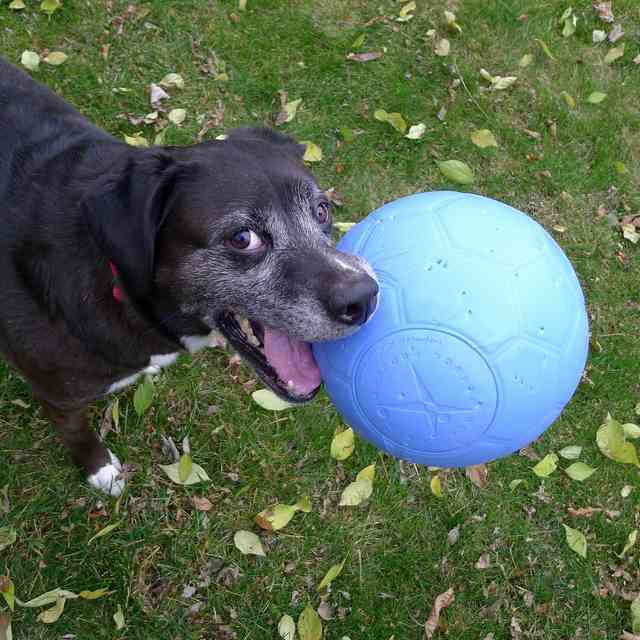 Now I’m thinking this could be a great gift idea if you have a picture of a friend’s dog. That would be a fun surprise! Oh I love Transverse line! I love this! I’ve never heard of it and it’s super cool. I’m so impressed you’re also picking up paint brushes this month as I’ve always aspired to paint and took some water color classes years ago but I lost interest. There is nothing more enjoyable – so I’m sticking on a paint by numbers hobby at this point when I need a creative outlet. Thank you for sharing this! 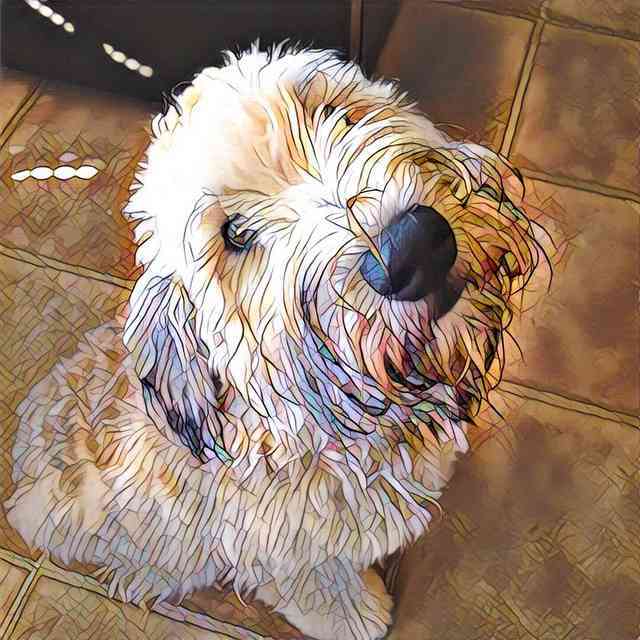 The Wheaten Terrier is pretty cute too! We’ll have to see how it goes, Christine. I might have to resort to paint-by-numbers too before it’s all over, haha! ? that is really cool and so cool how you did your before and after cells. Thanks, JoAnn! 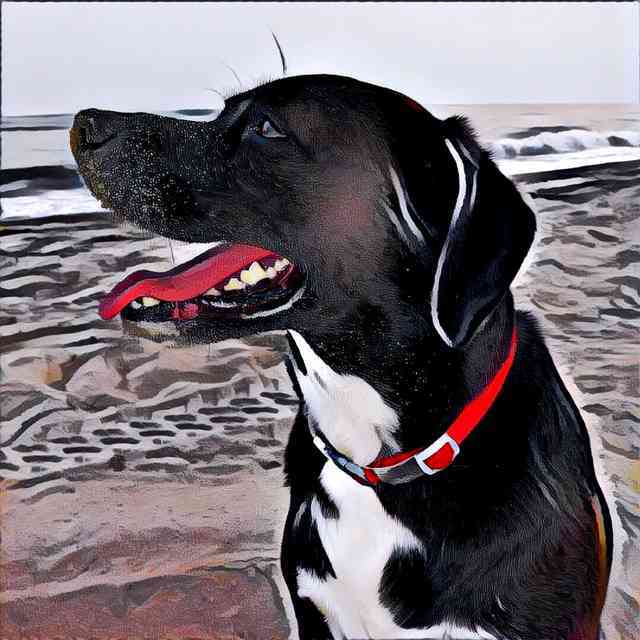 The app is really fun to experiment with all kind of images. I’m downloading it right now! More apps to play with! Yes, so many apps…so little time! Lol ? What a cool app, thanks for the recommendation! I used the “Composition” effect on Buzz’s picture & then split it. Perfect! That effect works great with the picture. 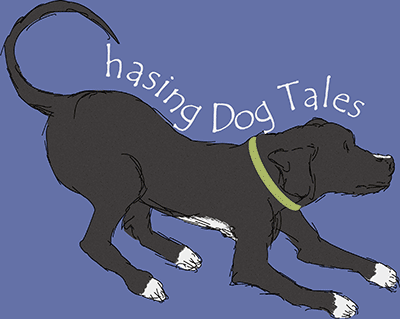 I’m not sure what was happening with the file upload, but WordPress saved the image luckily. Thanks for sharing beautiful Buzz! Those are all very cool effects. The Brown Dawgs would rock with some of those effects! ?